This textbook is suitable for the following courses: Introductory Level Economics, and Principles of Economics. 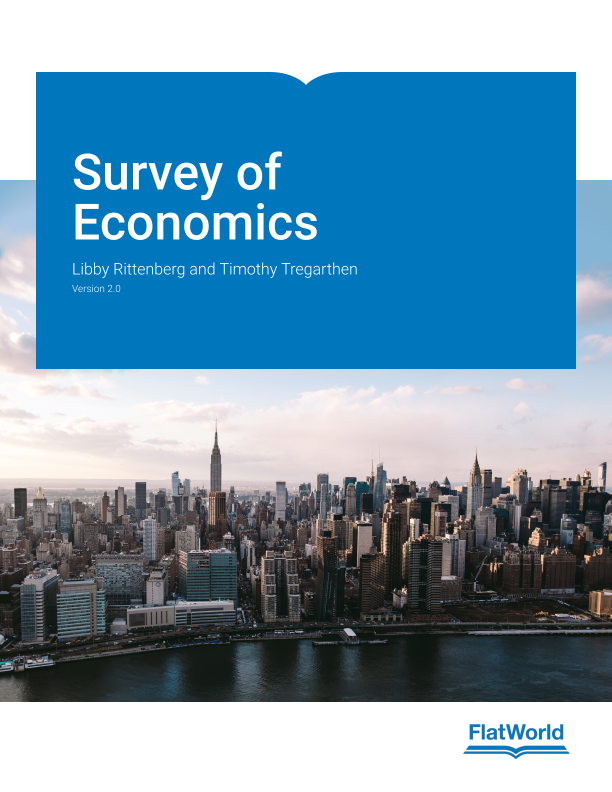 In Survey of Economics, Rittenberg covers topics that provide students with the tools to understand the economic way of thinking in a shorter amount of time. Using applications from sports, politics, campus life, and current events, Rittenberg links theoretical principles and common experiences. “Start-Up” sections in each chapter introduce new key concepts. 4.1 Start Up: Raise Fares? Lower Fares? What’s A Public Transit Manager To Do? 14.1 Start Up: How Important Is Economic Growth? 15.1 Start Up: How Many Macks Does It Cost?